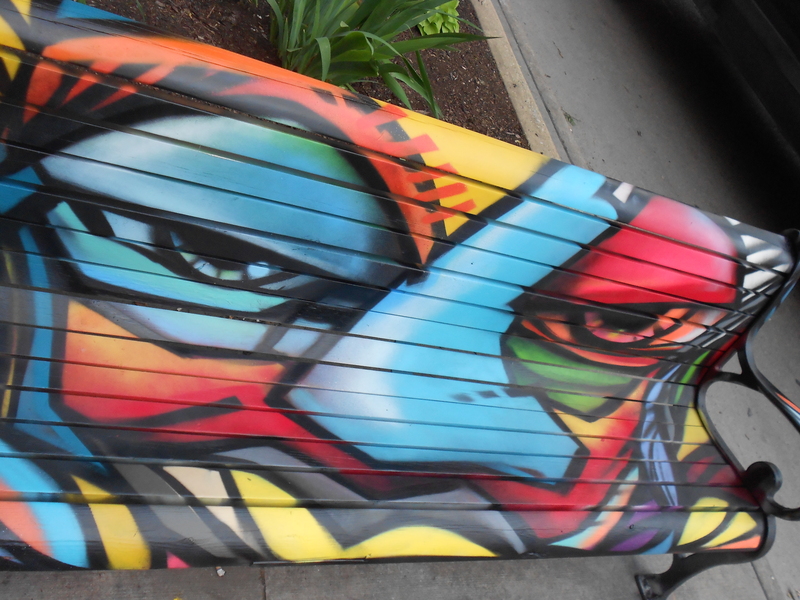 I would really like to paint one of these benches. How did you get permission to do this? You can actually go into Blicks and ask for Ryan Bentzinger or Jan Dutchan. They are the two who are managing the project. Good Luck!! it was fun to paint.